Jenna Robinson is in her senior year at ASU double majoring in Earth and Space Exploration with a concentration in astrobiology and biogeosciences and also in French. Besides her studies, Robinson has been active in extracurricular activities that have enhanced her experience at ASU, both from a science and interpersonal perspective. 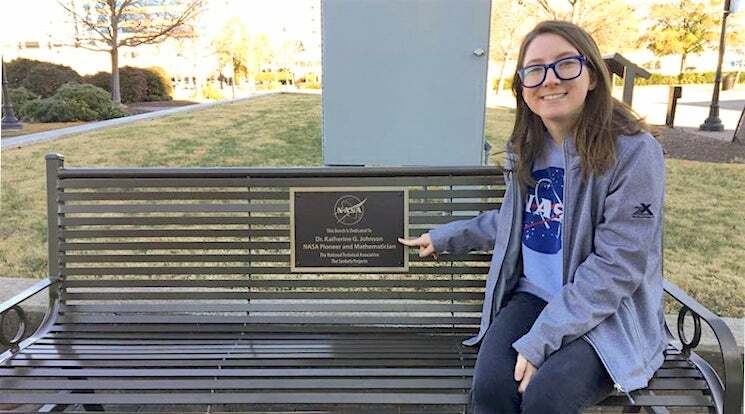 She particularly enjoyed serving as outreach coordinator and then president of ASU's chapter of The Planetary Society, which seeks to share the excitement and importance of space exploration with the public. Through this chapter, she met other students who were passionate about space exploration and had many opportunities to engage the public at School events such as Earth and Space Open House and Earth and Space Exploration Day. Robinson also enjoyed working at the ASU Nexus for Exoplanet Systems Science (NExSS) with School faculty member, Steve Desch. This NASA-funded project is a collaboration of scientists from diverse backgrounds who are helping to devise a strategy for looking for life on exoplanets around other stars. This Robinson says working for NExSS solidified her academic interest in astrobiology and taught her the importance of interdisciplinary cooperation.